(VOVWORLD) -Ho Chi Minh City wants to further develop the relationship with Singapore, particularly in trade, investment, education, culture, science and technology, a city official said. 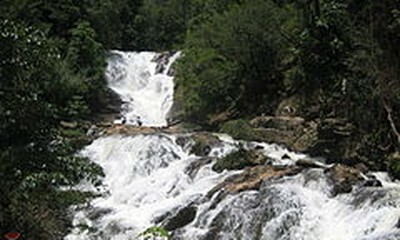 Huynh Cach Mang, Vice Chairman of the municipal People’s Committee, told a ceremony that the city wishes to consolidate the Vietnam-Singapore Strategic Partnership, for solidarity, friendship and interests of the two peoples and for peace, stability, and development in the region and the wider world. 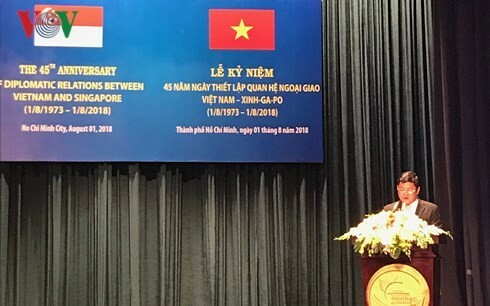 The People’s Committee of Ho Chi Minh City held the ceremony on Wednesday to celebrate the 45th anniversary of Vietnam-Singapore diplomatic ties. Singaporean Consul General in Ho Chi Minh City Leow Siu Lin said Singapore wants to expand cooperation new areas like smart technology, a priority of the municipal authority as rapid urbanization creates opportunities in urban development and management. She said she believes that the relations between Singapore and Ho Chi Minh City will be elevated to a new height.